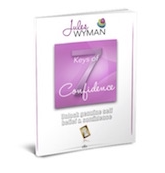 Congratulations on registering for The 7 Keys of Confidence. Now is the time you can start building your true confidence! Below you will find the links to three different downloads. One is for the workbook and the others are for the video and the audio. You can pick whether you would prefer to use the video or the audio. Simply click on each of the links to gain access. Set aside a time when you will not be disturbed. 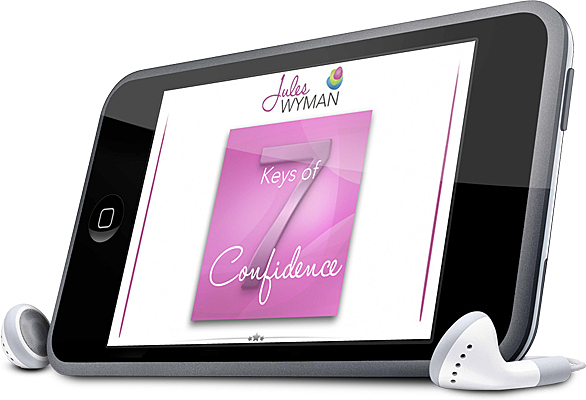 Print off your workbook and enjoy working through the 7 keys using the video or the audio. Once you have learnt the keys, you can begin using them in your life and you will discover ways that you can build genuine confidence. Confidence is a soft skill that makes a hard impact on your life regardless of whether you have it or not. Real confidence isn't about faking it or acting 'as if'. Real confidence comes from within. The good news is that confidence is always there. It's just recognising what is getting in the way & learning how to access it. As a Confidence Coach I work with you to help you create REAL confidence, that impacts every area of your life.